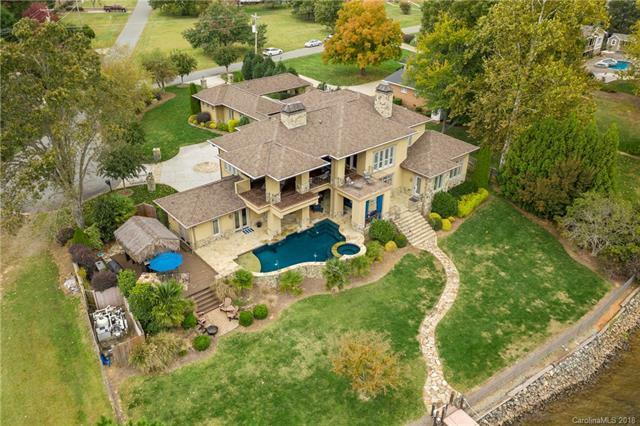 Breathtaking lakeside estate with panoramic views of Lake Norman! 1/2 acre lot nestled on a quiet cul-de-sac in Cornelius. 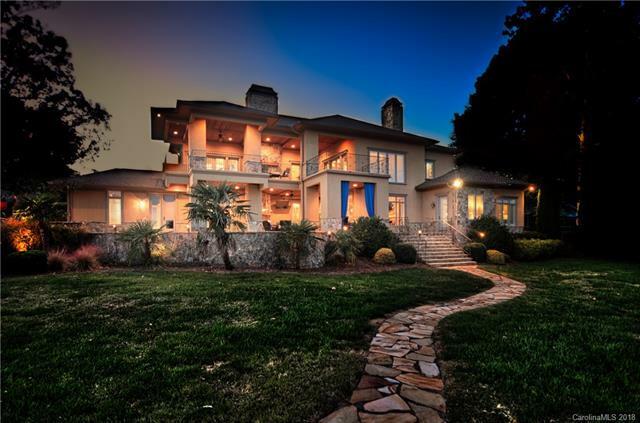 This 5,088 sq ft luxury home boasts a private outdoor oasis w/ a salt water pool, outdoor kitchen, tiki bar & decks w/ 3 outdoor stone fireplaces, separate guest suite & fitness room. 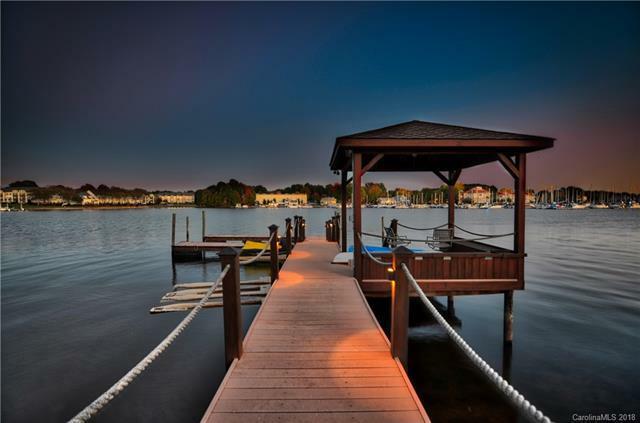 Custom built home w/ tons of natural light, distressed 5 cherry hardwoods & expansive water views from almost every room. Formal living area & full bar perfect for entertaining. Gourmet kitchen w/ Thermador appliances, 6 burner gas stove, pot filler, double ovens, warming drawer & center island. Kitchen opens to breakfast area & great room w/ cozy fireplace. Elegant first floor owners retreat w/ views of the lake, sitting room, walk in closet, patio access and luxurious en-suite bath w/ dual vanities, soaking tub & MUST SEE custom tiled shower. Second story has 3 spacious bedrooms each w/ private bath, media room, office & huge covered balcony. Resort style living at its best!